When we put out the nominations call for this year’s 28 Days Later Campaign, there was one name that flooded the comments section more than any other: Tonya Cherie Hegamin. Hegamin began life as a resident of Westchester, PA, but later relocated to Rochester, NY. She earned her MFA in Writing for Children from the New School University in 2003. As an Assistant Professor at the City University of New York, Medgar Evers College, Hegamin currently teaches Children’s Literature, Fiction Writing, and Composition. In 2010, her picture book, Most Loved in All the World, won the NYPL’s Ezra Jack Keats award. She is also the author of three young adult novels: M+O 4EVR, Pemba’s Song, and her most recent, Willow (Candlewick Press, 2014). Hegamin’s passion for young people extends beyond the literary; she has served thousands of young people as a crisis counselor, rights advocate, and sexual health educator as well. 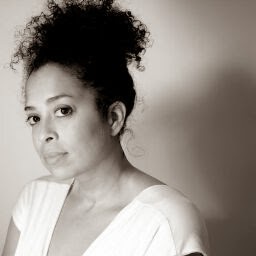 On day 16, The Brown Bookshelf shines its spotlight on author Tonya Cherie Hegamin. I’ve always been inspired by Virginia Hamilton—she was the model for successful black women in the publishing world for a big chunk of time and I think she will always be a writer who I strive to emulate in terms of depth and breadth of work. Her husband, Arnold Adoff has been another mentor/inspiration to me since my first picture book, Most Loved In All the World. He’s the one I’ve turned to again and again not just for his experience the industry, but for his commitment to the expression of language. His ear for word craft is impeccable, and he is still the best person to talk to when I question being a writer. My other inspiration is E.B. Lewis. He would listen to me read drafts of Willow for hours on the phone while he was painting. He was the first person to believe in that book when it was only twenty five pages and he wouldn’t let me quit. I am so grateful to him for that! My other inspiration is Tove Jansson. Although she is completely different from me as a writer, I’ve read almost all of her work (Moomins and her adult writing) and I am in awe in how she constructs story in such a care-free way. She and her partner, graphic artist Tuulikki Pietilä were out and proud before lesbianism was acceptable in public; they both were courageous and powerful artistic humans who never let anyone change them. Willow sprouted from a lot of my research for M+O 4Evr and Pemba’s Song. I found books (like Slaves Without Masters by Ira Berlin) about those who “managed themselves” while the master was gone, and even those who feared leaving their sheltered lives in the South. I also read a great book called Forbidden Fruit: Love Stories from the Underground Railroad by Betty DeRamus. I researched historical figures like Mary A. Shadd who wrote A Plea for Emigration (she grew up and was educated in Delaware and Pennsylvania, but led a campaign urging former slaves to Canada for freedom). Then I researched accounts of freed men and women who would travel south to help others over the Mason Dixon line and escape enslavement. Finally, in my own family history we have more than one account of my enslaved ancestors being related to their owners. One great-great-grandmother even sued her white father after the Civil War! The question of what would make someone stay and willingly subjugate themselves and what would motivate one to leave a seemingly ‘comfortable’ life that rendered you powerless was always in my mind. It became a perfect storm of “what if” that all writers chase for a good book. I’d have to say that even more than people who are being “traditionally” published, I believe my students’ writing is the best undiscovered talent I know. Many of my students are writing amazing fiction and creative non-fiction that is so raw and fresh. They are living the world that others are being paid gobs of money to write about. I had a student who wrote a children’s book about a boy with Autism who makes a friend who doesn’t care what other people say. She wrote it so she could share it with the kids she teaches. Another student wrote about a dystopia where kids who are dynamic because of their differences were the only ones who could survive. They write for the joy of it and the need to set their hearts free. I hope they all continue to hone their craft, if simply to create stories that aren’t being told, and sharing it with kids who aren’t being remembered by the industry. Perhaps you detect the cynicism in my tone? I do believe that the children’s book industry is saturated with people who churn out the same stuff (I might also be one of them). I don’t think it’s because we writers can’t think of anything new, it’s just that what is marketable and what we really need are two different things. Although I see the merit of the intentions of the Common Core pedagogy, I also know that there will be another educational evolution in the next few years and our ideas about literacy and books for young people will shift yet again, hopefully ever for the better. I think that the future of diversity is inclusion; diversity is quantitative, inclusion is qualitative. We have to take personal steps to stop labeling people as different and embrace them for who they are. The industry is concerned with numbers, not hugs. Companies only shift marketing practices for new demographics when there’s a profit. The more we each demand to be recognized and included there is always possibility for positive change. For more information on Tonya Cherie Hegamin, please visit her website. Ever since I heard the premise behind WILLOW, I’ve been intrigued – glad to discover another thoughtful, considering voice for my list of YA to-be-reads. Yes, wonderful way to describe the difference. “Diversity is quantitative, inclusion is qualitative.” I’m enjoying this spotlight series. Thank you! I look forward to reading WILLOW. I remember falling in-love with PEMBA’S SONG. I’ve always known who you were. And I am so happy to see you on the Brown Bookshelf. I will be adding your books to the #ReadSameReadDifferent list. Congrats on your accomplishments. Well Done.